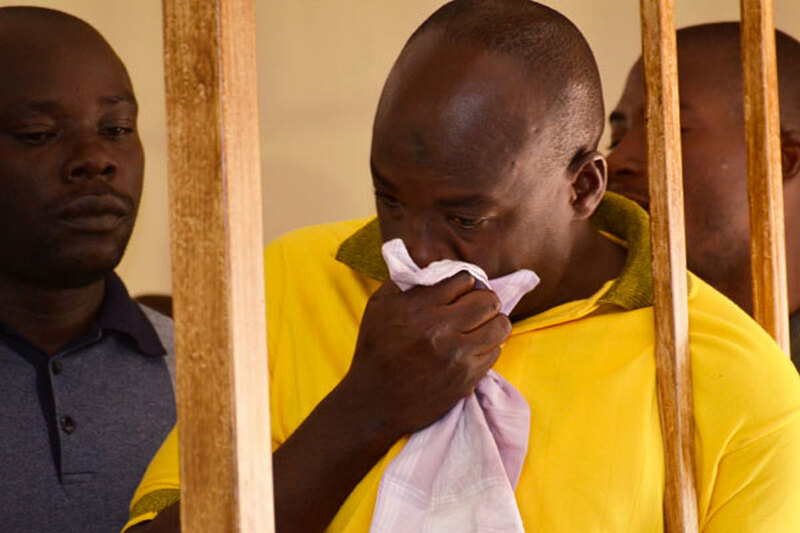 KAMPALA – Abudallah Kitatta, the patron of the Boda Boda 2010 Association, must defend himself on charges of unlawful possession of firearms and military stores, the UPDF said. In a submission at the General Court Martial in Makindye, Kampala on Monday, prosecution led by Maj. Rapheal Mugisha said there is enough evidence pinning Kitatta on the charges and dismissed requests by defence lawyers that the army court should dismiss the case against Kitatta and 12 others for lack of proper prosecution evidence. Maj. Rapheal submitted that all the ingredients of the offences the accused person faces are proved by the evidence on record and the testimonies of the witnesses are consistent, truthful and have been credible. The prosecution evidence is that on January 20, 2018, at Vine Hotel in Wakaliga Natete Rubaga Division the accused persons Kitatta and two others were found in unlawful possession of arms and ammunition which are ordinarily the monopoly of the defence forces. Maj. Rapheal argued that Mr Kitatta was the patron of boda-boda 2010 and the military uniforms, eight rounds of SMG, four rounds of pistol and other items were recovered from Wakaliga at boda-boda 2010 offices were found in his office although he was not at the material time present but he is still deemed to have been in constructive possession of what was recovered in the said office. “S.20 Penal Code Act Cap 120 provides that when two or more persons form a common intention to prosecute unlawful purpose in conjunction with one another and the prosecution of that purpose an offence is committed of such nature, that it was a probable consequence of the prosecution of that purpose each of them is deemed to have committed the offence,” Maj. Mugisha argued. Court also heard that S.133 of EA Cap 6 states that subject to the provisions of any other law in force, no particular number of witnesses shall, in any case, be required for proof of any fact. “The general rule is that in any case no particular number of witnesses shall be required for proof of any fact in the case for ascertaining the truth by the court, the number of witnesses is not considered but the quality of evidence is taken into account,” Maj. Mugisha said. The hearing of the case will continue Tuesday, December 11, 2018.